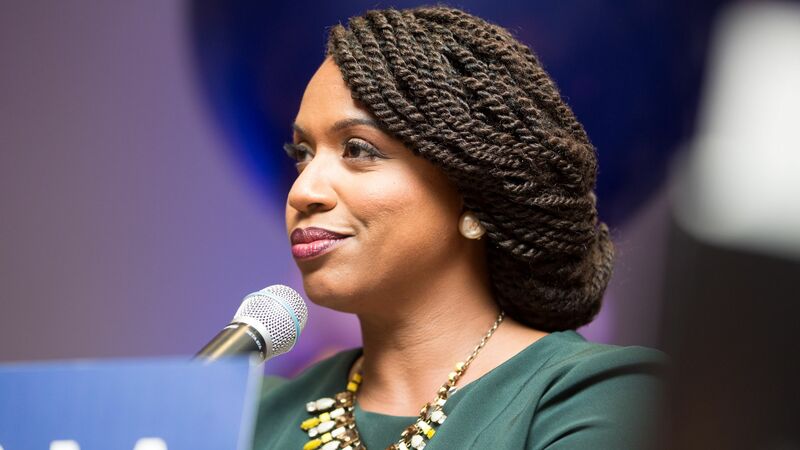 Alexandria Ocasio-Cortez congratulated her "sister in service" Ayanna Pressley, who is set to become the first black, female member of Congress from Massachusetts, after her victory over 10-term incumbent Rep. Michael Capuano on Tuesday. Why it matters: Per Axios' Alexi McCammond, Pressley's victory is "further evidence of the power of insurgent, progressive campaigns led by women of color." Ocasio-Cortez tweeted on Tuesday a photo of her and Pressley, saying they "bonded over running while constantly told it's 'not our turn,' that we 'weren't ready,' 'good enough,' or 'experienced' enough. We kept going anyway."